Period 1-4-5 students can come in this week to make corrections on their recent test. Honors students can do this if their test score was below 70%. Students will take notes and watch demonstrations as Benson explains the basics of "cloud formation". If you were gone get a copy of the notes handout, copy the notes from a classmate, and watch the video below. If you were gone, watch this video. This is due on October 31. Your score on this assignment can be used to replace your lowest non-test score. For periods 1-4-5, do 1-20 page 499. For periods 6-7, do 1-12 page 485. Benson will be gone today. Students will do a WS (due at the start of class tomorrow). Attention honors students - MESPOWs this week are #14 and #104. We will go over several concepts covered on the WS and then students will take notes as Benson explains "temperature inversions". If you were gone, go to this website and read it carefully. It does not open on some mobile devices. We will review for the test using a Kahoot game. Students will also be given a review sheet. Test today! After the test periods 1, 3, 4 should read text pages 504-509 (honors students read pages 490-498). Carefully examine all of the figures/illustrations and read the captions. October 17-19 . . . Short week! Project posters are due at the start of class Wednesday (not Tuesday, which was the original due date). There are no MESPOWs this week (for honors students). Students will take notes as Benson explains a couple important topics related to the atmosphere. If you were gone, get the notes. Reminder: Projects/posters are due SOC tomorrow. Attention: The optional October "replacement assignment" for periods 1-4-5 is 1-20 page 499. It is due on Halloween. Your grade on this assignment will replace your lowest non-test score in PowerSchool. Honors students should do 1-12 on page 485 . . . also due on Halloween. Classes are a bit shorter today due to early release (every Monday). We will go over the recent graph activity and then start watching the video called "Chasing Ice". If you were gone be sure to watch this video and the video of the week (below). Honors students: MESPOWs for this week are #59 and #94. The weather didn't cooperate so we continued watching the video called "Chasing Ice". Guidance counselors will be doing a career planning activity with all of Benson's classes today. Students will continue working on the UV bead projects. They will do their experiment 5 times today (5 trials). Students will continue working on the UV bead projects - data table, graph, poster, etc. Question(s) of the week: When it comes to the "greenhouse theory", both proponents and skeptics use climate data from the past to support their argument. Explain. Classes are a bit shorter today due to early release (every Monday). We will watch this 4-minte YouTube Video, Benson will review the UV bead project, and then students will be given the period to plan their projects (does not involve going outside). Honors students: Only one MESPOW for this week (#18). Students will take notes during a presentation on climate change (aka "global warming"). Periods 1-4-5 should read pages 602-603. Periods 6-7 should read 594-601. Also, check out this climate change graphic. 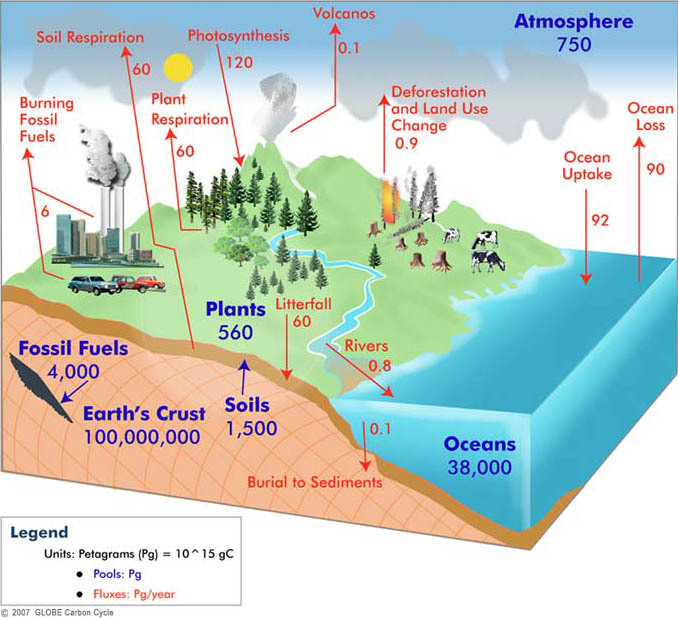 Students will do a graph activity related to climate change. Students will work quietly on a WS at their assigned seats. Benson will be gone (working at the cross country meet) in the afternoon (periods 5, 6, 7). Hopefully the weather will be good enough for students to start the experiment portion of their projects. Students will do an activity to help them understand the rock cycle. If you were gone, carefully read pages 67-69 (honors pages 52-54) and take a look at this animation. Print out a copy of the Rock Cycle WS here and then watch the Rock Cycle Presentation posted here. Do the WS as you watch. Honors - The MESPOWs are #73, and #103. Students will do a station to station activity related to recent topics. If you are gone, periods 1-3-4 do "Reviewing Content" 1-10 on page 89 (honors do 1-10 on page 78-79). We will review several concepts, and then students will do a WS: Principles of Geology. If you are gone, go to this website and print out a copy . Do it! Students will watch a video called "The Day the Mesozoic Died". If you were gone, watch it here. NOTE: The monthly optional "replacement assignment" (for period 1, 3, 4) is available here. Your score on this will replace your lowest non-test score so far. Honors students - Your "replacement assignment" is 1-10 on pages 292-293 of your text. Honors students: The handouts for your projects and papers can be found here. You need to make a decision by Monday, Feb. 22. Periods 1-3-4: We will go over a recent lab and then students will do a WS. Honors students: We will go over the lab and then get you prepared for the science circus project. The MESPOWs are #26, #87, and #121. We will go over the video from Wednesday and then Benson will explain/show several examples of recent topics. Finally, students will take notes as they learn about (and look at) some common metamorphic rocks. Students will do a lab titled, "Igneous Rocks". If you were gone, print out this Igneous Rocks Lab Handout and then go to this website (Igneous Rocks Lab). We will return and go over several recent assignments/labs, and review for the test. A review sheet will be provided, or you can print it out here. Be sure to watch this Important 4-Part Animation. There will be a similar diagram on the test. Students will take a test and then read text pages 126-137 (honors 84-92). Honors students: The handouts for your projects and papers can be found here. You need to make a decision by Monday, February 22. Test Next Week - A study guide will be provided on Wednesday, or you can print it out here. Benson will be gone today. Students will watch a video about the geology of Yosemite Park. If you are gone, print the handout here and then watch the video here. Honors students - The MESPOW is #115. Students will take notes as Benson explains "plutonic formations". If you were gone, read through the Crown Butte Virtual Field Trip and then take a look at this animation (4 parts). Read pages 295-297. Students will do a lab - they will determine the density of different types of igneous rocks. We will go over the video from Monday, and then Benson will show several examples of plutonic formations. We are on assembly schedule today. Benson will explain 3 great eruptions and we will finish the notes on volcanic hazards. Then students will work on their crystal growth lab. See links below if you were gone, and read this. Honors students will be assigned the "Crown Butte Virtual Field Trip" - It is due SOC on Friday. If you miss class, copy the notes from a friend and take a look at the links below. Students will watch a video called Earth's Deadliest Eruption. Students will do a lab to called "Magma and Lava". If you were gone, do questions 1-7 page 74 (Honors do 1-7 p. 62). Honors students: The handouts for your projects and papers can be found here. Decide which you want to do, print out the handout and read it. We will have a lottery later this month to determine who gets to do what, and which shifts you will work. The Science Circus will be on Friday and Saturday, March 18-19. Students will take notes as Benson explains various types of volcanic formations. January 25-29 The new semester begins! We will discuss the semester grades, and then students will be given time to start an assignment (WS: Intro to Volcanism). Attention honors students: MESPOWs this week are #6 and #80. Students will take notes (on handout) as Benson explains basic concepts related to volcanism. If you were gone, take a look at this animation. Students will do a lab - "What happened at Lake Nyos?" If you are gone, read this and watch this video. Periods 1-3-4 will watch a video - "Mystery of the Meagavolcano". If you were gone, be sure to watch it HERE. Periods 6-7: Benson will explain various hazards associated with volcanoes as students take notes. If you were gone, take a look at this photo album. Periods 1-3-4: Benson will explain various hazards associated with volcanoes as students take notes. If you were gone, take a look at this photo album. Periods 1-3-4 will watch a video - "Mystery of the Meagavolcano". If you were gone, be sure to watch it HERE. IMPORTANT: The study guide for the semester test is posted on this page in case you want to start studying. Benson will give you a copy on Friday. Students will take notes (on handout) as Benson continues to explain Plate Tectonics. Attention honors students: No MESPOWs this week. If you were gone (or simply want to review), take a look at the links provided below AND read text pages 248-260 (honors 194-203). We will watch a video about the Mariana Trench. If you miss this class, be sure to watch it online: Video: Deepest Place on Earth (43 minutes). As you watch answer questions on the WS, which can be found on this page. Students will do a group problem-solving activity related to the movement of tectonic plates. If you were gone, read text page 285 (honors 212). 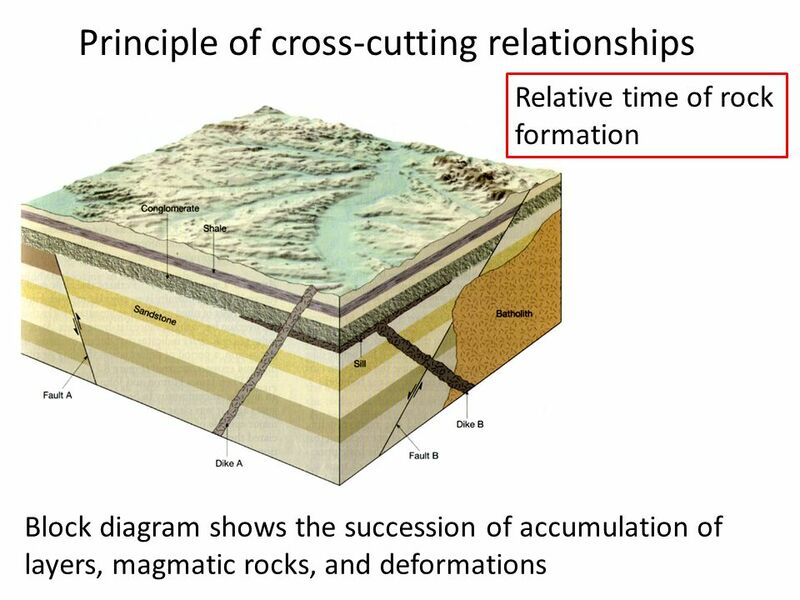 We will review several concepts related to plate tectonics, and then Benson will explain the different types of geology that take place at various plate boundaries. Benson will tell students about the test, provide a review sheet, and then give students time to study for the test. Question(s) of the week: What is a zone of subduction, and what are the various features and activity that take place there? Notice: The study guide for the semester test is posted on this page in case you want to start studying. During the two weeks before finals week (January 19-21) students will be learning about the basic structure of the Earth and plate tectonics. Today they will start watching a video titled "Magnetic Storm" (to be finished tomorrow). If a you miss this day, get online and watch the 55-minute video HERE. As you watch, answer the questions on the WS, which can be found on this page. Attention honors students: The MESPOWs this week are #20 and #118. Benson will explain the structure of the Earth and paleomagnetism, and then students will do a WS titled, "Plate Tectonics". If you were gone, read text pages 233-236 (honors 249-252). Students will watch a video titled, "Birth of the Earth". Click here to watch the video. As you watch, answer the questions on the WS, which can be found on this page.